Bows border clip art in red and green - Pretty holiday bows clip art border in two sizes. 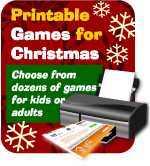 Design your own Christmas page dividers, clip art borders or holiday paper crafts. Small red and green bows Christmas clip art border. Click image to enlarge and download. We also have a matching Christmas bows borders.